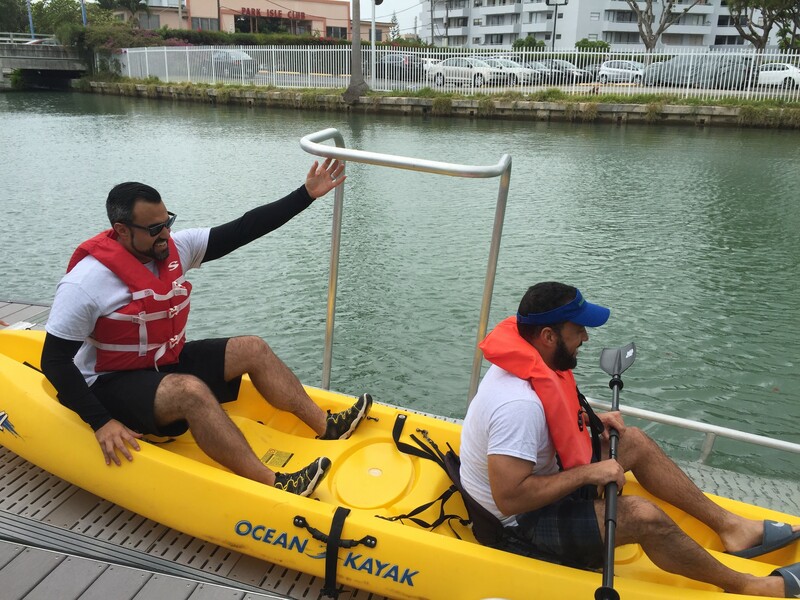 Gray skies didn’t dampen the enthusiasm for the opening of the new kayak launch in North Beach. Members of the community joined City leaders in cutting the ribbon on the new ADA accessible launch before the first kayakers took to the water. After the ribbon cutting, the first kayakers were ready to go. The launch is weight controlled so that as a user moves down into a kayak, the platform pushes down toward the water allowing the kayak to launch. There was a line of kayakers and paddle boarders ready to try the new launch. 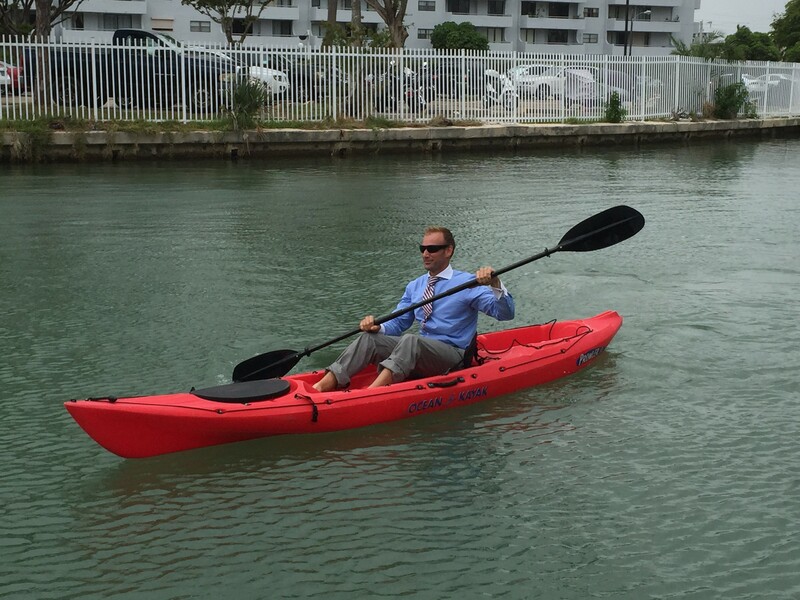 Commissioner Michael Grieco didn’t exactly come dressed for kayaking but he took off his shoes, rolled up his pants and gave it a go… tie and all. The launch is located west of Dickens Avenue, north of 73rd Street, near the community garden. It is the City’s second ADA accessible kayak launch. The first is in Pine Tree Park. A third is planned for the Crespi Avenue side of the 81st Street pedestrian bridge. A public meeting will be held to discuss those plans Wednesday, May 31 beginning at 6:30 pm at the North Shore Youth Center, 501 72nd Street. For more information, please contact Diana Fontani 305-673-7071 or via email.